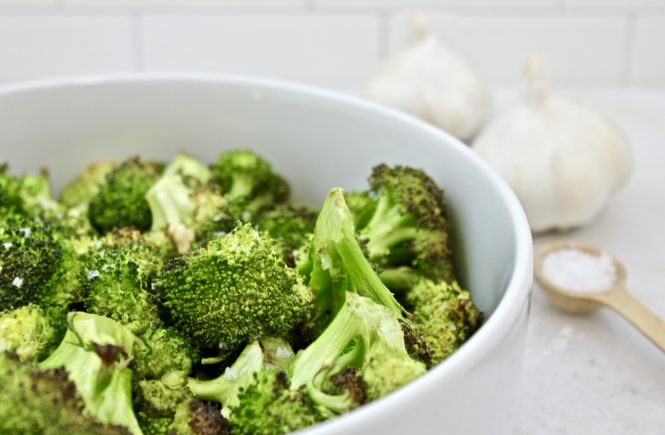 Garlic Roasted Broccoli – YUM! 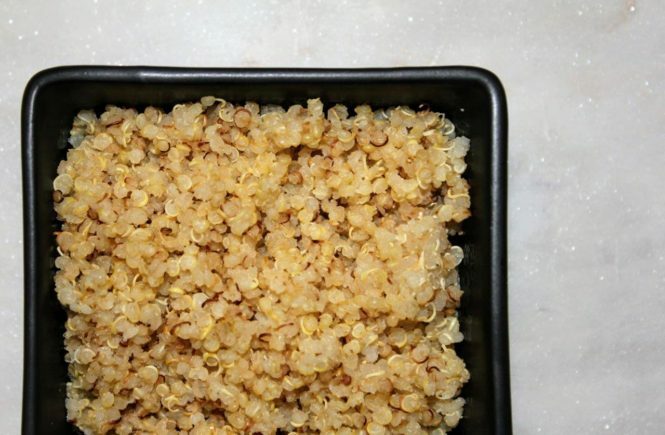 This recipe is easy (as most of mine are) and only 3 ingredients. I made this in the morning and used it as a base for a breakfast bowl with over-easy eggs. 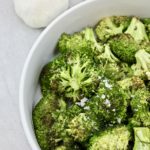 Who says you can’t eat broccoli for breakfast? Actually, don’t answer that. 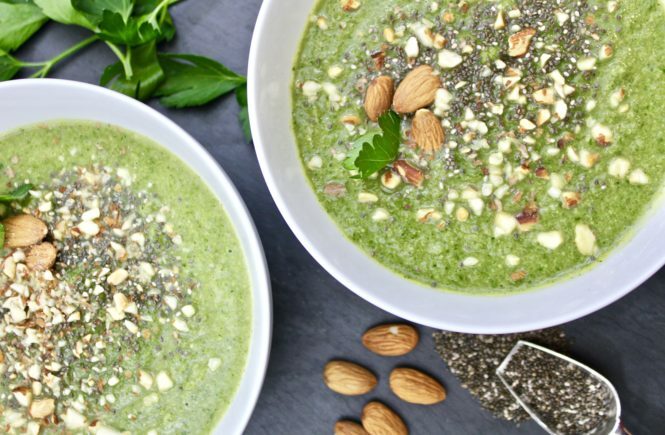 This is a great recipe to make and keep in the fridge as an easy way to add more veggies to any meal. 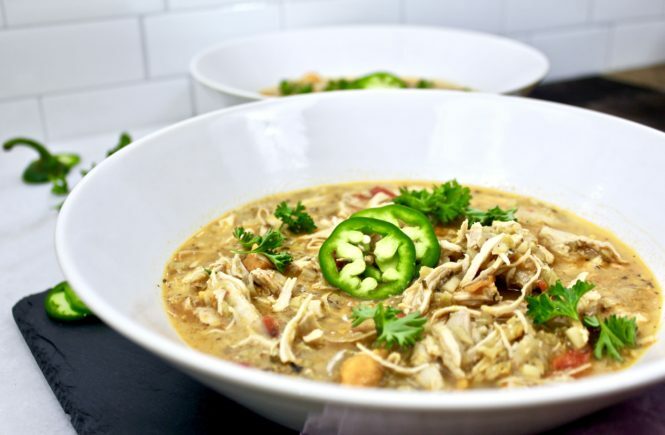 I would recommend doubling this recipe if you’re planning to make a batch because my husband and I can eat this entire recipe in one meal. 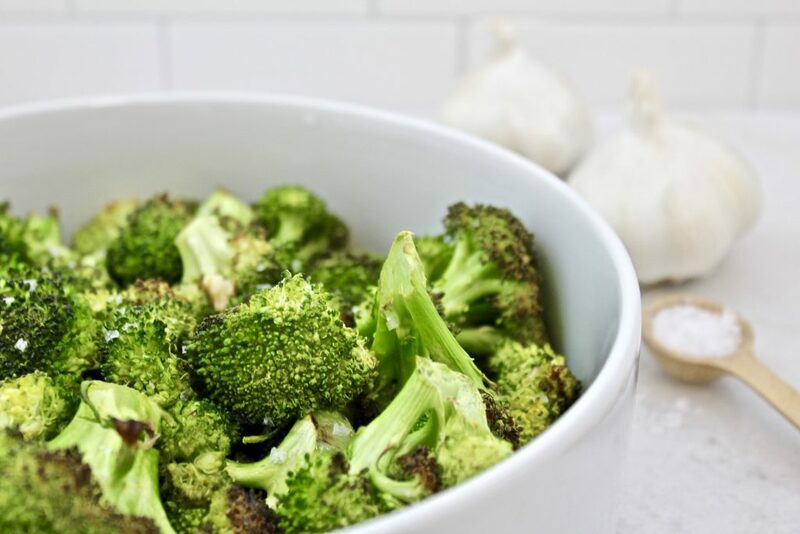 This Garlic Roasted Broccoli is Whole 30 compliant, paleo, dairy-free, nut-free, and gluten-free! 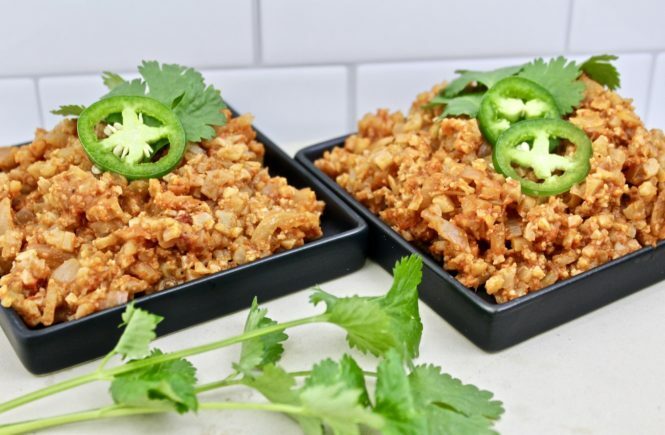 It can be a side, mixed into a bowl for breakfast, lunch or dinner, or thrown into a stir fry! Take advantage of it’s versatility! Remove from oven, transfer to serving dish, garnish with salt flakes & enjoy! That’s right — easy, tasty, and good for breakfast!